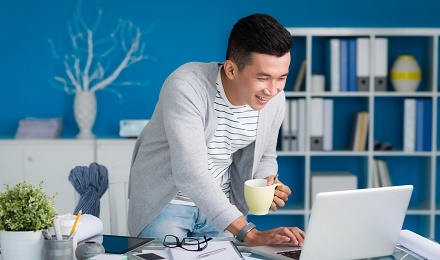 Learn more about the different ways you can secure your future. Jumpstart your financial game plan with Coach Finn. Commit to setting aside a portion of your income for savings to help you reach your goals sooner. Education is the best gift we can give our children. Take advantage of time, with years to save for their college fund. Nothing can protect your family from the pain of losing you. This takes a toll on them emotionally and financially. Secure their future income today. It’s dangerous to assume you won't ever get sick and lack of preparation aggravates the cost of treatment. If you didn't plan for it, you'll end up using your life's savings or borrowing money. Start preparing today. Ease your worries and secure yourself and your family's future. Protect yourself and your assets. After all, your home and your family symbolizes everything that you've worked hard for. Charter Ping An's Personal Accident provides you monetary compensation for death or bodily injury as a result of accidental, violent, external, and visible means. We aim to provide you financial security in case of unforeseen events or accidents. Your vehicle is your second home, transporting you and your family to and from where you need to go. Protect your vehicle and the people you love. The success of your business is your success in life. Keep yourself, your employees, your goods, equipment, and your customers secured should anything happen. Our commercial line of products are designed to provide protection for your business. 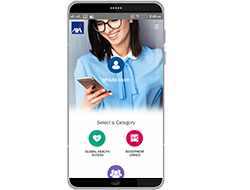 AXA Philippines, global leader in insurance, launched MyAXA, a mobile phone app that brings relevant information to their 811,000 strong customers in the country anytime, anywhere. 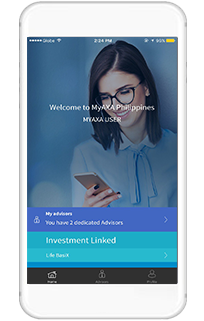 “We are building a community with our customers and MyAXA is one of our digital initiatives that would like to reinforce that,” says John Hilson, Chief Transformation and Operations Officer of AXA Philippines. 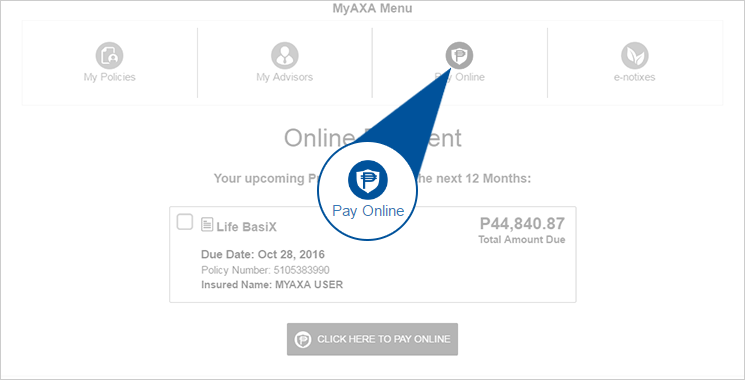 Policy information like the payment schedules of their premiums can be viewed, as well as the digital copies of their official receipts. 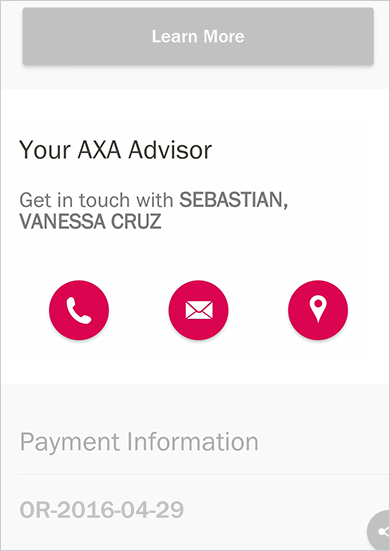 Other details like the account value of their chosen plan, and the contact details of their AXA Financial Partner is likewise conveniently accessible in MyAXA. How to view My Policy/ies? 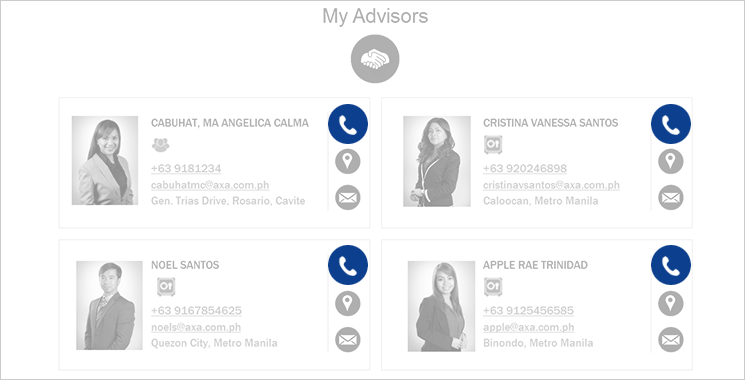 How can I contact My Financial Advisors? 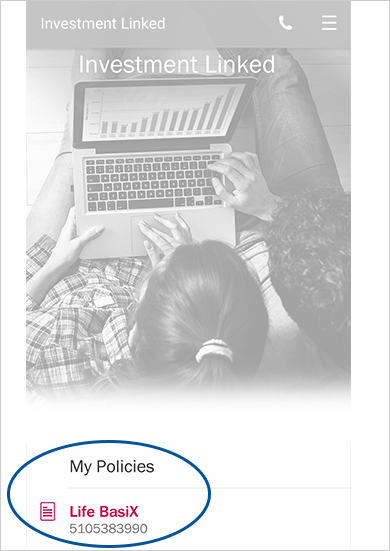 How can I view all my policy statements? Why am I being asked for additional information? 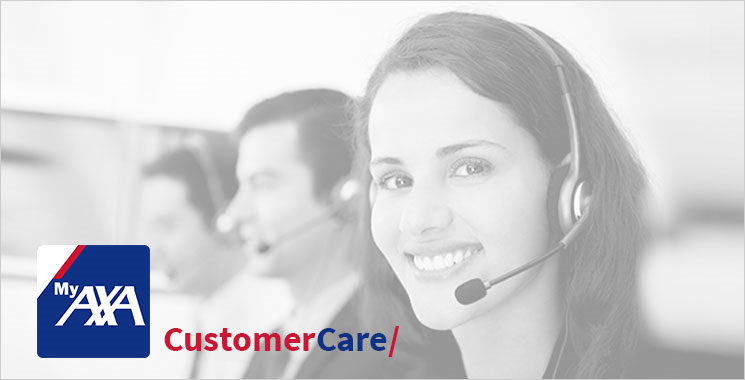 Why did receive an e-mail asking to call customer care? 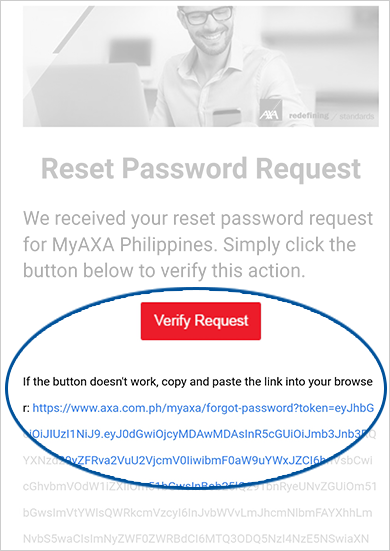 How to withdraw funds through MyAXA Portal? Here are the easy steps in navigating this page so you can maximize all its features and make the most out of your online experience. 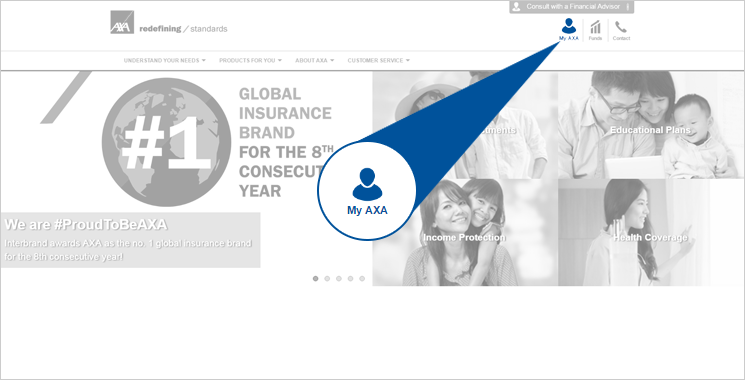 On the upper right corner of the AXA Corporate website, simply click on the MyAXA Icon and select Register on the dropdown menu. Key in your E-mail address and ten digit Policy number. Please make sure to use the e-mail address you have provided during Insurance application. 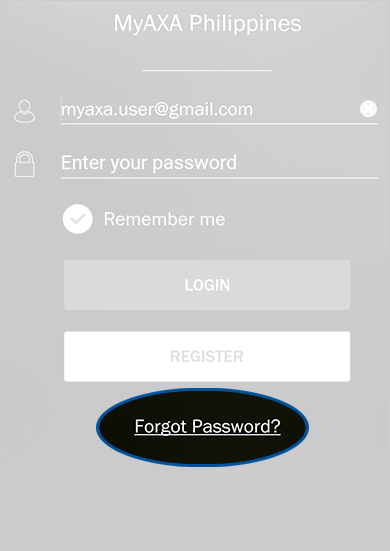 MyAXA will prompt you to provide a password following the given combination criteria. CONGRATULATIONS! 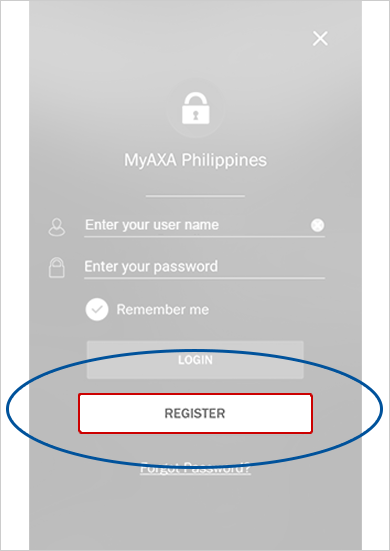 You are now Registered on MyAXA, you may now log in to your account. 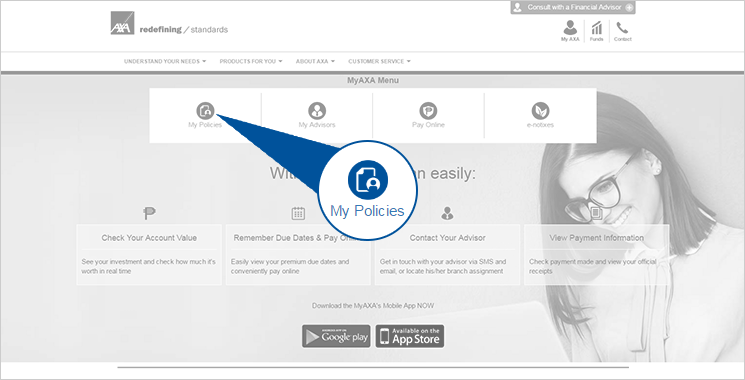 On the MyAXA Homepage you can conduct transactions concerning your policy with ease. 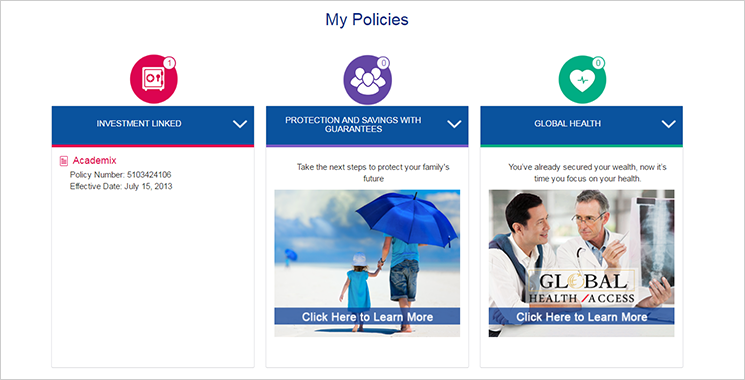 If you own multiple policies, choose the policy you want to view. 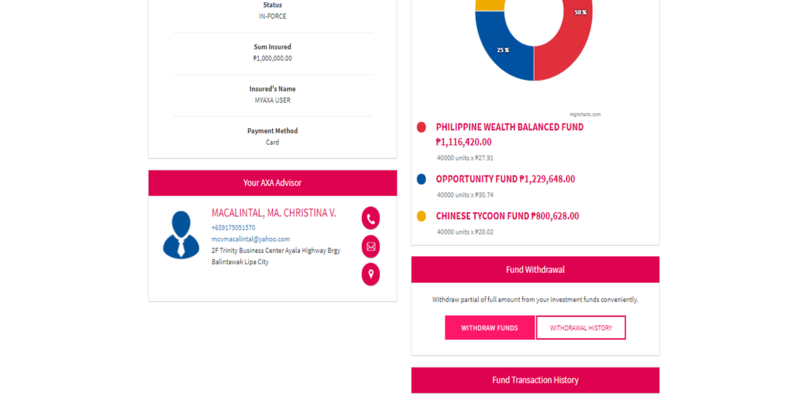 For Investment Products, you can view your current account value, fund allocation, fund performance and fund transaction history. 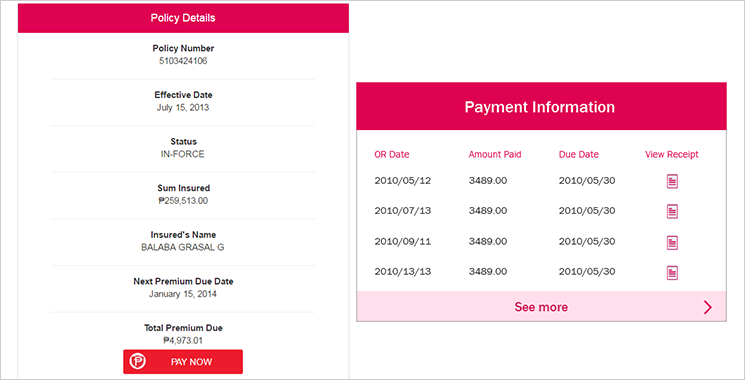 You can also view your premium due, payment mode and other payment information. 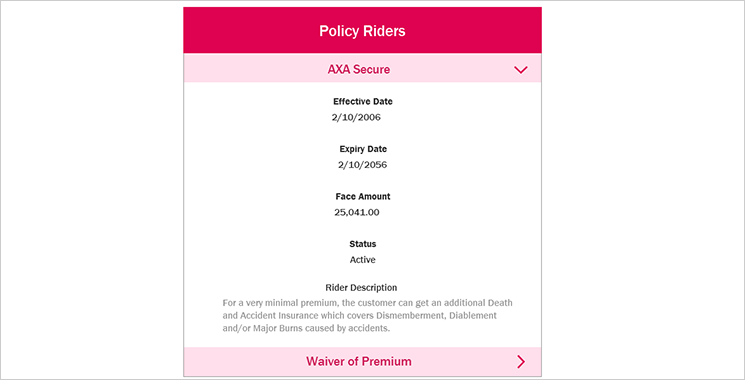 In case your policy has Riders attached to it, you can view the Rider details as well. 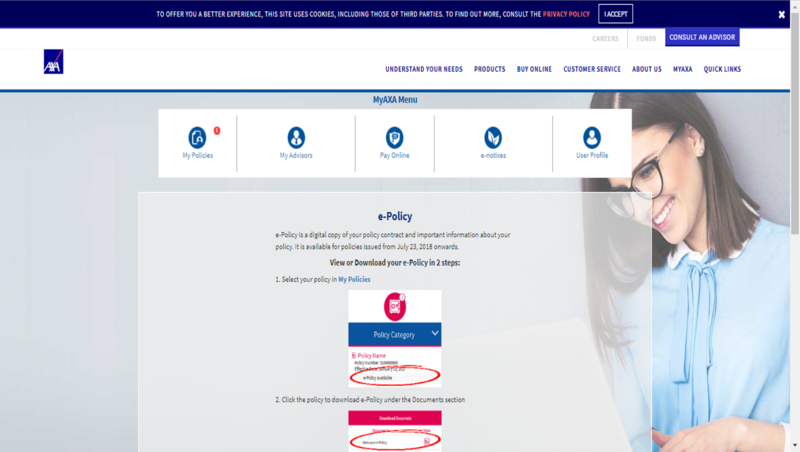 Choose the policy or policies you wish to settle and click PAY NOW! 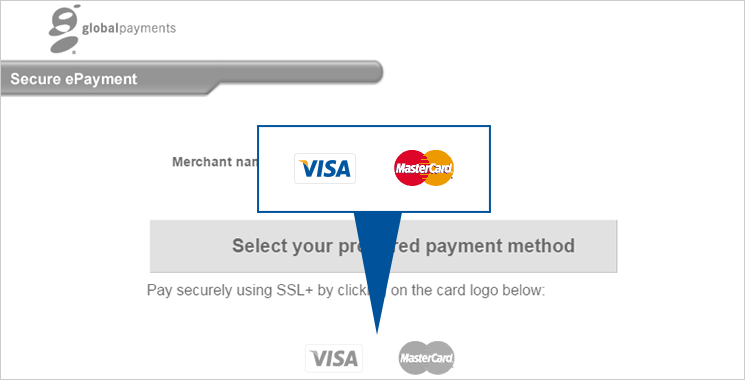 Input your card details, confirm your payment details then click proceed. And that's it, you've paid your premiums in few easy steps. 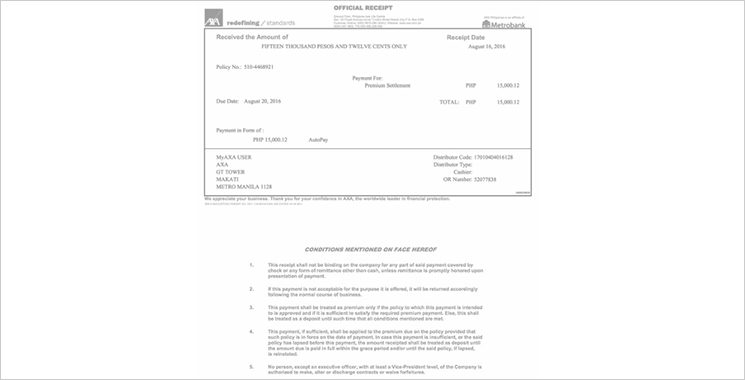 You have the option to print a copy of your transaction confirmation for your reference. You can also download a PDF copy on your computer. 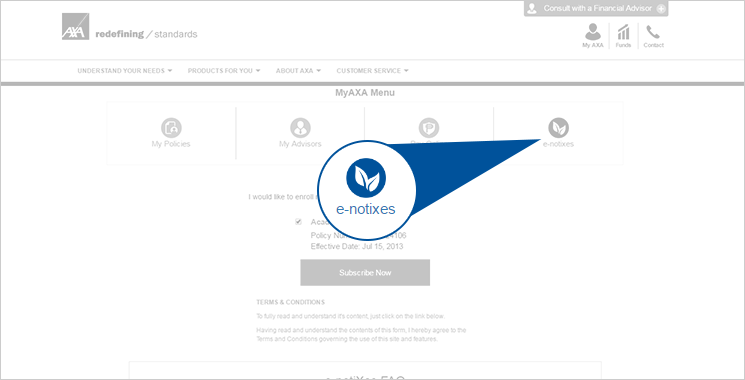 Select a product that you wish to enroll to e-notiXes and then click SUBSCRIBE NOW. You will start receiving information related to your subscribed policy number within the next five (5) days. 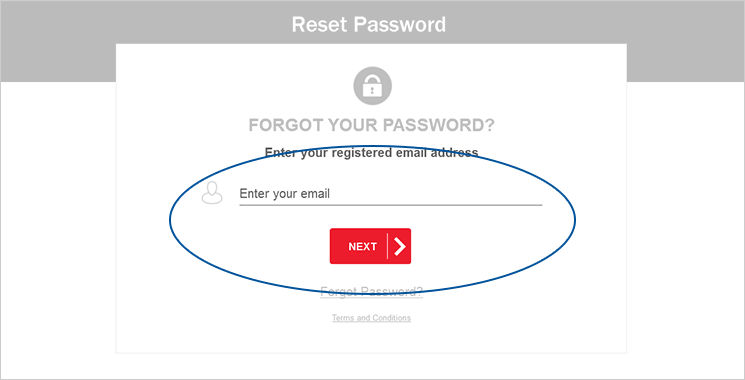 Then enter your registered email and click next. 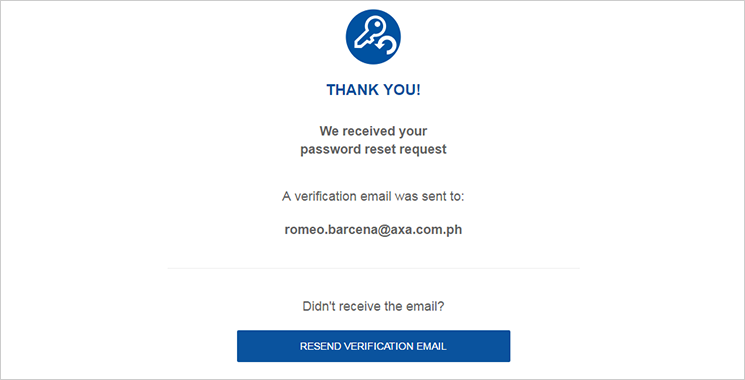 We will send a password reset request to your registered email address. 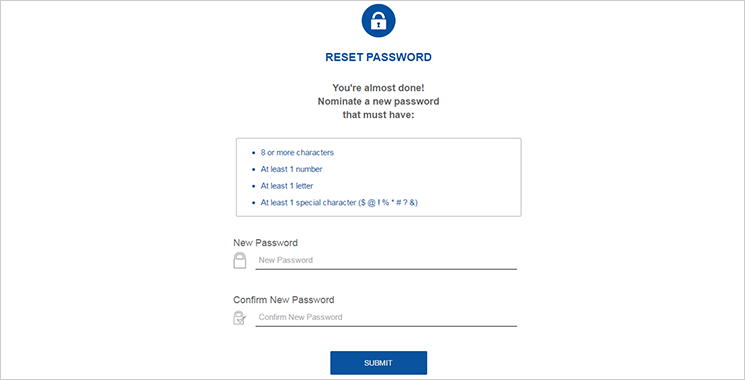 You will receive a verification to your provided email to reset your password. 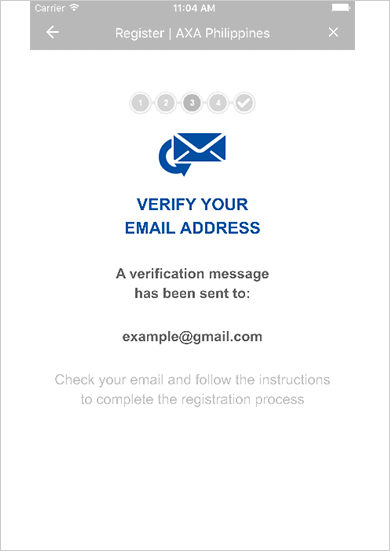 Simply Click Verify Request button or the link provided to continue the process. 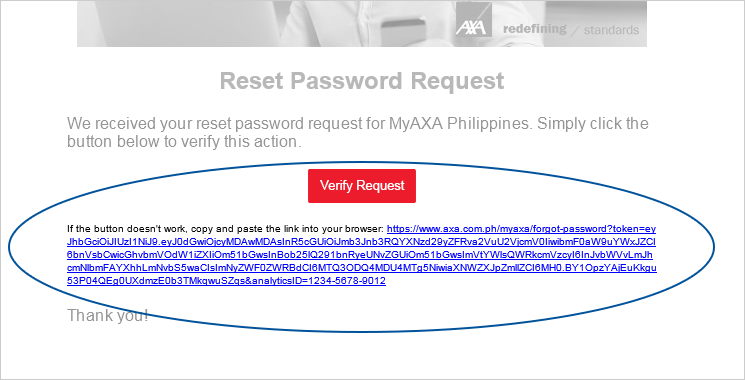 Registration to MyAXA will be temporarily parked at this point as we need to verify the information you provided. You will hear from us after two (2) days concerning your MyAXA registration. 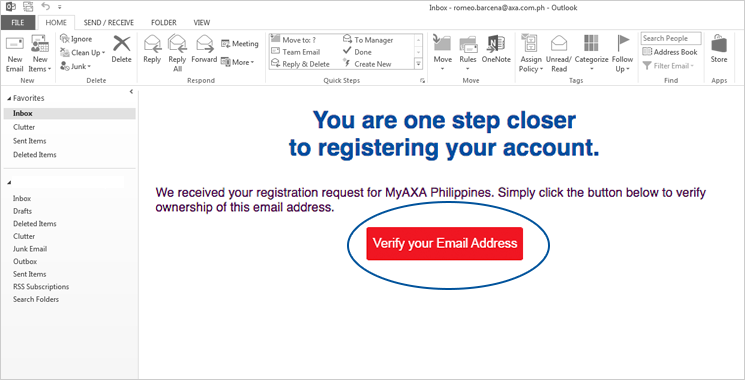 You received an e-mail to inform you of the next action you need to undertake for your MyAXA registration process. We are taking these security measures to make sure that any information on your policies or any details you provide us are protected. 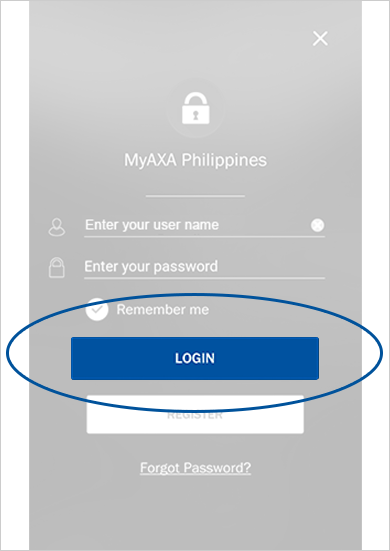 Withdraw your funds with ease with the use of MyAXA portal using the following steps. 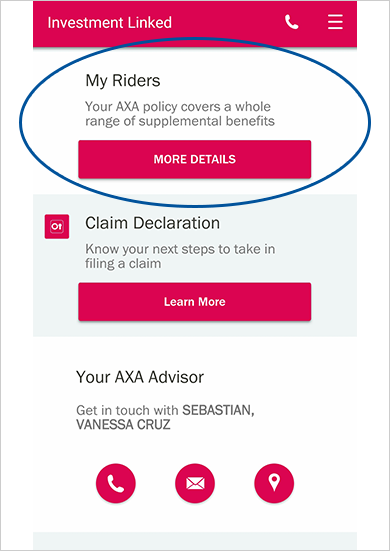 On the MyAXA home page, click on My Policies tab. 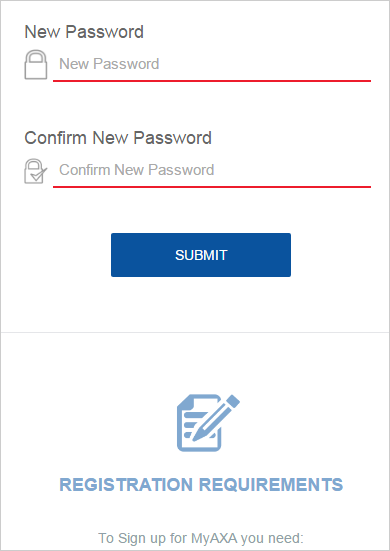 Select on the policy where you want to withdraw. Select "Withdraw Funds" to proceed. Note that you will not be able to click the button if you are not eligible to withdraw. Select the purpose of your withdrawal. 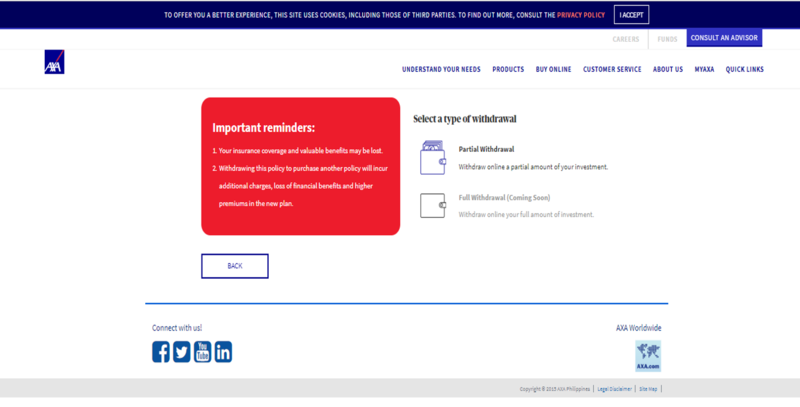 Select the type of withdrawal (full or partial). Details of the policy will be shown. 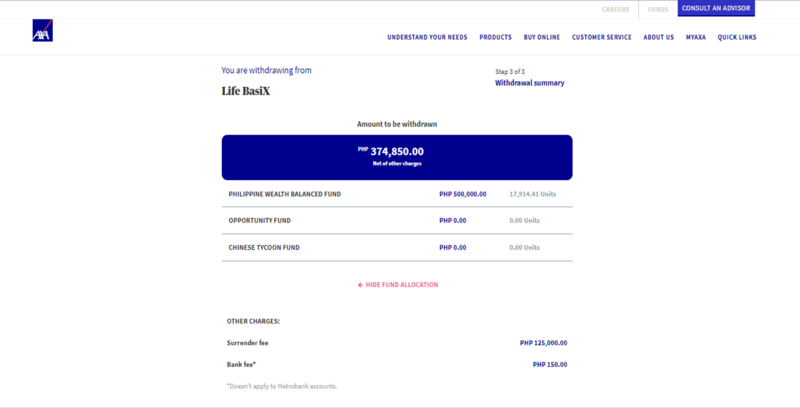 If it’s a partial withdrawal, you will have to select the units or pesos that you want to withdraw per fund. 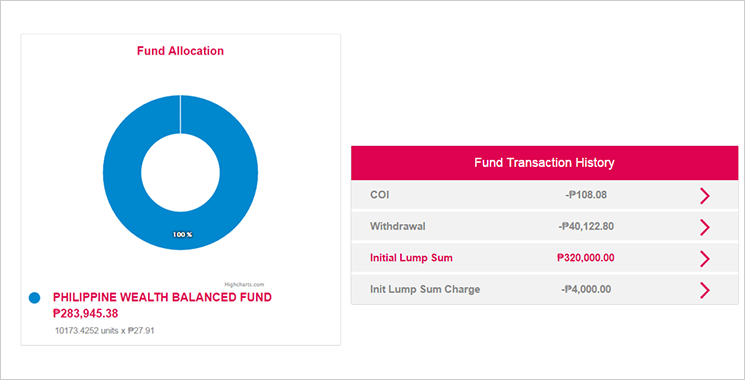 Details of the fund withdrawal amount and surrender charge (if applicable) will also be shown. Fill up the form with your bank account details. MyAXA withdrawal is only applicable for direct bank transfer. Bank account owner and policy owner should be the same. Upload a photo of your ID. Also shown are the declarations and agreement inclusions. 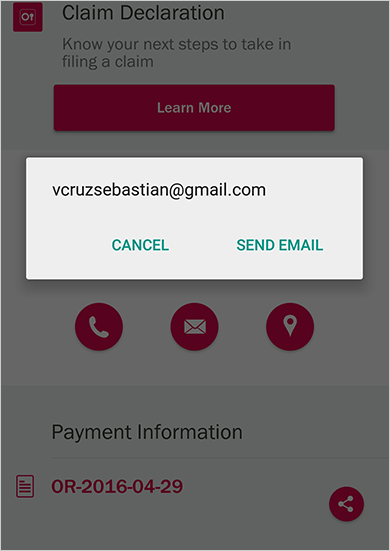 A thank you page will be shown indicating the reference number and if applicable, a customer service representative will call them to confirm the transaction. 1. 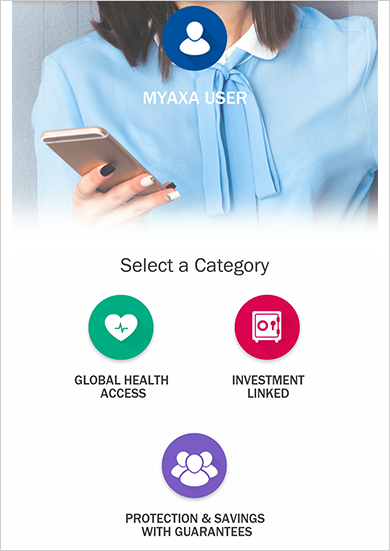 What is MyAXA Fund Withdrawal? 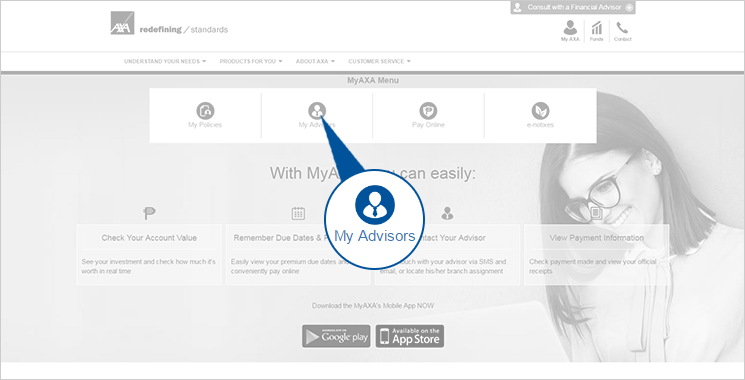 a. MyAXA Fund Withdrawal is the newest feature of MyAXA via web. Now, you can withdraw anytime and anywhere via the app. No need for paper forms and no need for you to visit the branch. 2. 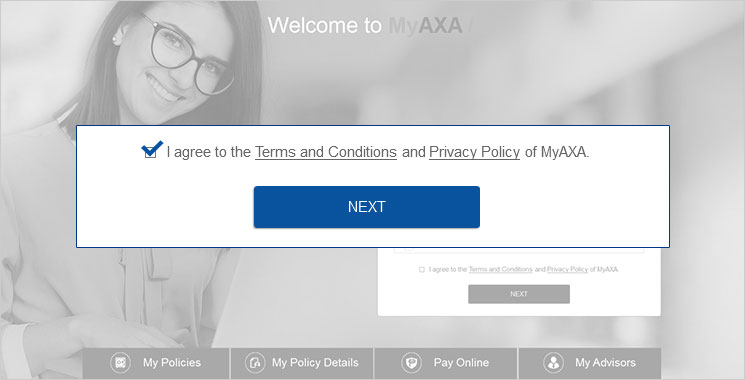 Why should I withdraw through MyAXA? a. It’s quick, easy, and convenient. You can perform fund withdrawal transactions anytime and anywhere with only a few clicks! b. All transactions are secured. 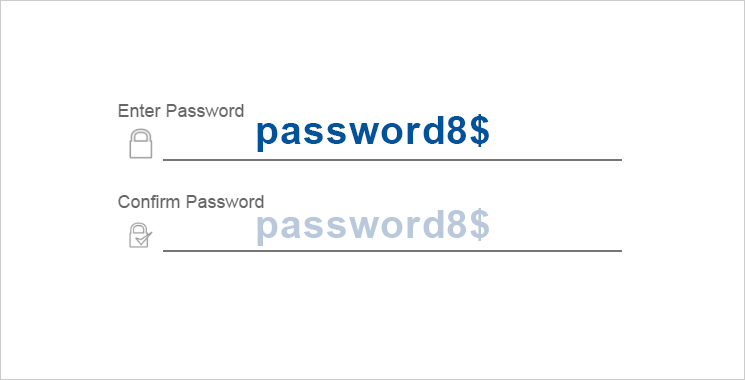 With our 2-factor authentication, we make sure that all your transactions are protected. c. It’s easy to monitor. You can check the status of your withdrawal in real time! 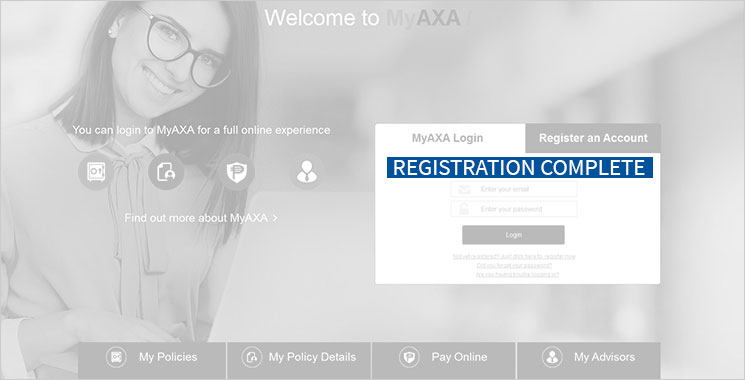 3. Who are eligible to withdraw via MyAXA? 4. For partial withdrawal, is there a minimum required withdrawal amount? a. Yes, minimum required withdrawal amount is USD 400. Withdrawals will not proceed if your partial fund withdrawal amount is less than USD 400 – please note that this may change from time to time depending on the currency exchange rate. 5. For partial withdrawal, is there a minimum maintaining fund balance? a. Yes, minimum maintaining fund balance is USD 400 too. Partial fund withdrawals will not proceed if the remaining balance from your account will be less than USD 400 – please note that this may change from time to time depending on the currency exchange rate. 6. I can’t withdraw via MyAXA. What should I do? 7. 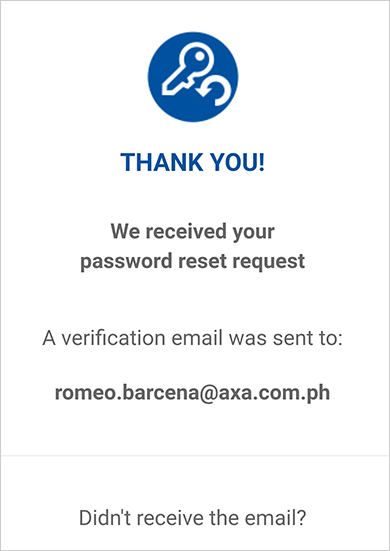 Can I also withdraw via MyAXA app? 8. 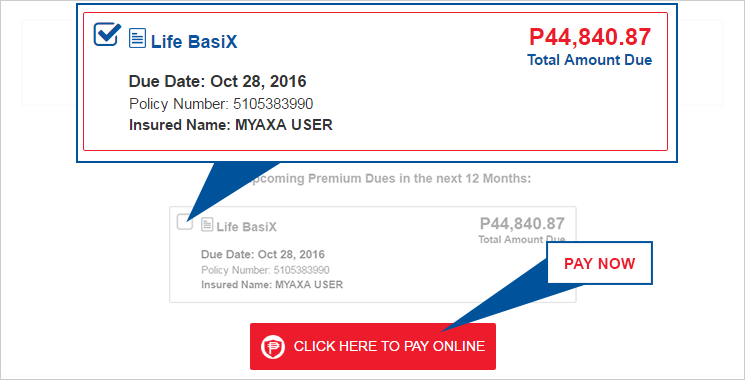 Can I withdraw multiple times using MyAXA? a. Yes, you may withdraw multiple times from multiple policies. Please note though that you cannot withdraw from a policy with an existing withdrawal application. 9. 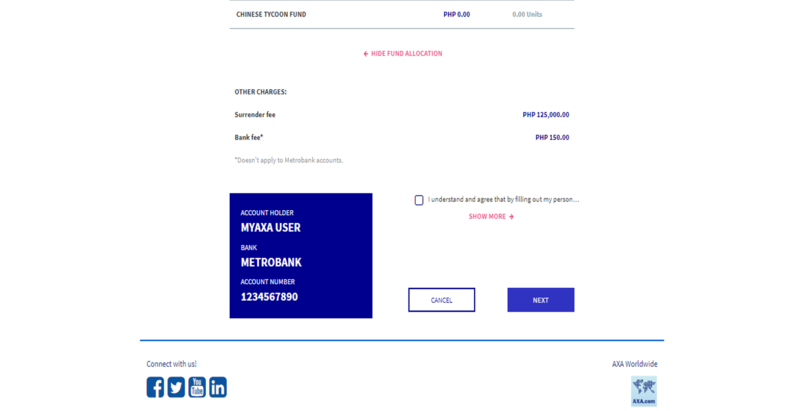 What is the process of fund withdrawal via MyAXA? b. 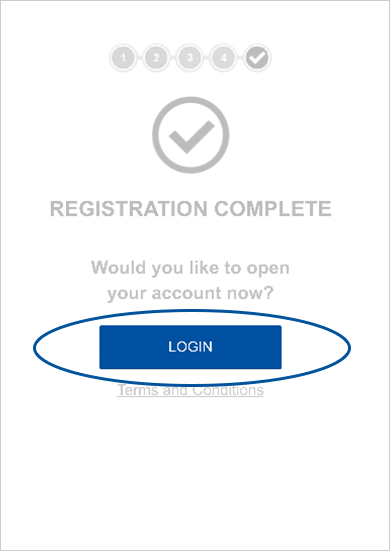 Select the fund withdrawal button – if you are not eligible to withdraw, you won’t be able to click this button. 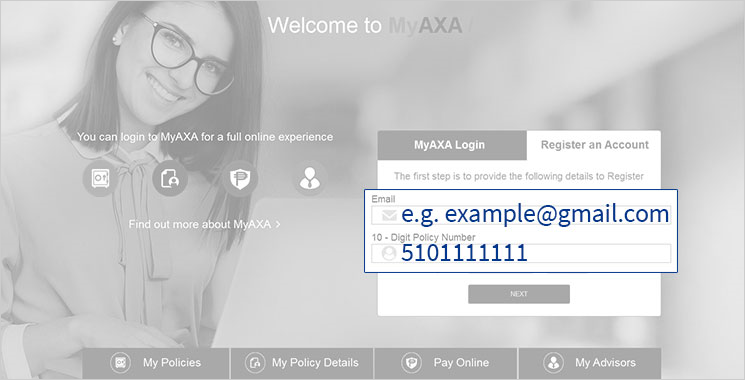 g. Input your bank account details – MyAXA withdrawal is only applicable for direct bank transfer also, bank account owner and policy owner should be the same. j. 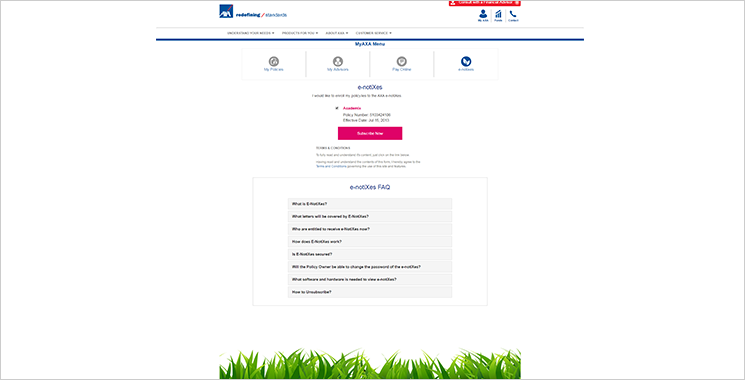 A thank you page will be shown indicating the reference number and if applicable, a customer service representative will call them to confirm the transaction. 10. 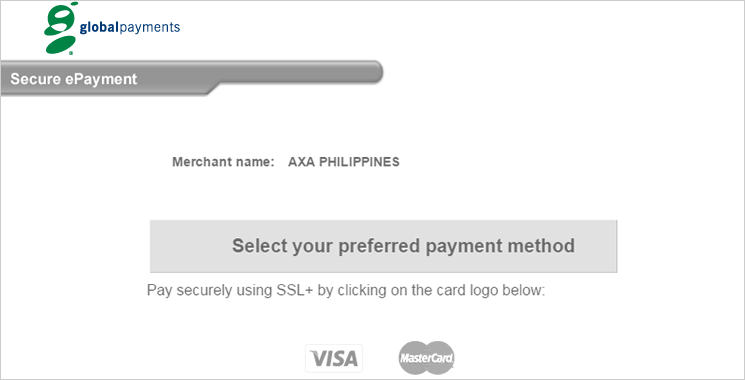 I want a check or a cash withdrawal, can I do that via MyAXA? a. 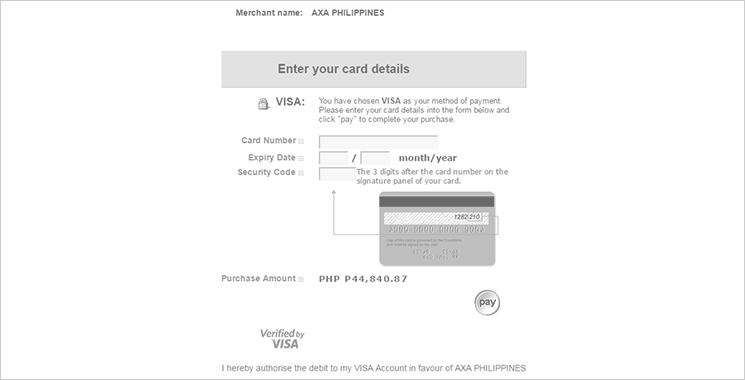 For the MyAXA fund withdrawal, we are only doing a direct bank transfer. 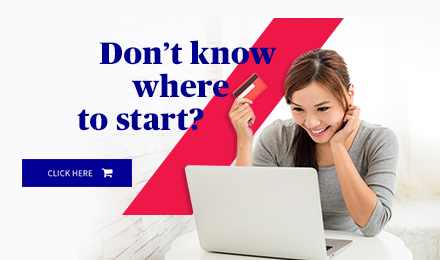 For cash or check withdrawals, you may go through our normal withdrawal process via the AXA branches or ask assistance from your financial advisor. 11. Are you still going to confirm the transaction? 12. When will I receive the money from the time that I applied? 13. Is there a cut-off on submission of withdrawals? 14. How can I track my transaction? 16. I already submitted my withdrawal request but I want to cancel it, how can I cancel? a. We are considering all submitted withdrawal applications as final. But should you wish to cancel, submitted withdrawals can only be cancelled by calling our hotline at 5815-292 (AXA) within the day of submission, before 6pm. Otherwise, the withdrawal will continue. a. 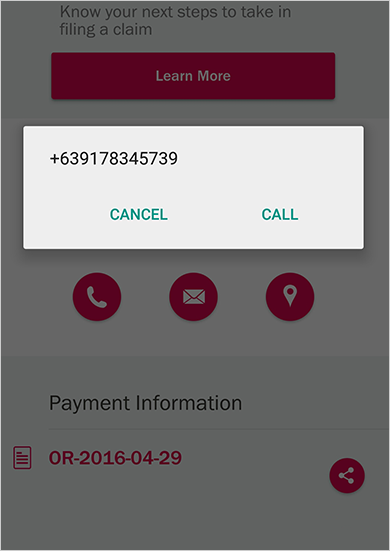 We placed the one time pin authentication that will be sent to your registered mobile number with us for your security. 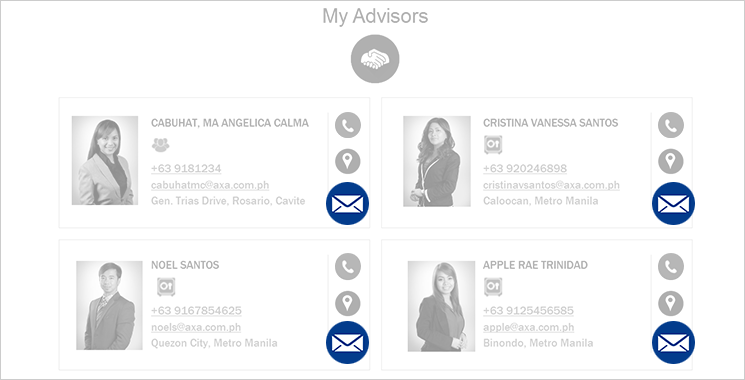 If you want to change your pin, please call our customer care at +63 2 3231-AXA (292). Please note that any change in mobile number will be reflected in our system within 24 hours. 18. 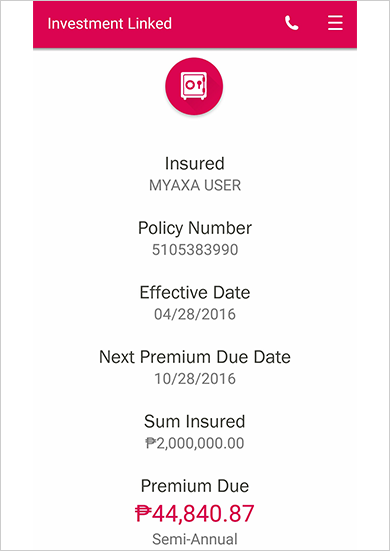 I have an irrevocable beneficiary / assigned policy, someone from AXA called me that my withdrawal application via MyAXA was cancelled. a. Policies with irrevocable beneficiary and assigned policies are not eligible to withdraw via MyAXA. We may ask for additional requirements for these specific policies. You can still withdraw through our AXA branches or through your financial advisor for assistance. 19. Are there other charges that I have to pay? 20. The amount in the withdrawal history is different from the one in my bank account, why is that? a. Timeline for the whole process is 3 – 5 days. For non-Metrobank accounts, it’s usually plus 2 days from the time that we transmitted it to the assigned bank. It may also be possible that your bank is rejected because of incorrect bank account – if this happens, a customer service representative will call you so you can provide a correct bank account. To avoid this situation, please ensure that the bank account details are correct. 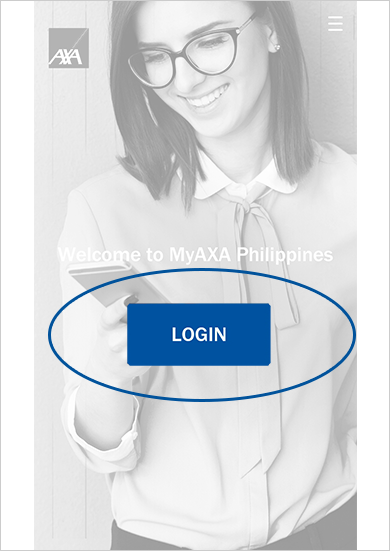 On the MyAXA App screen, click login and it will prompt you the log in and registration option. 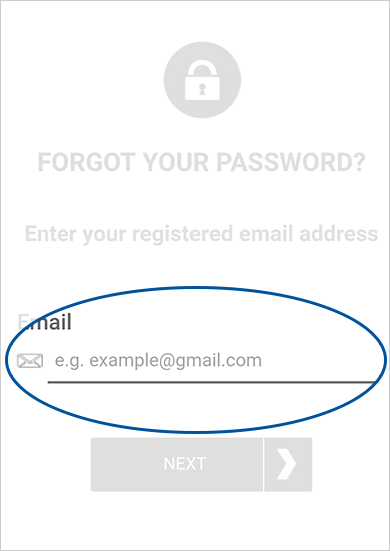 Just select Register button and it prompt you to enter the email address that you want to register and input your policy number. 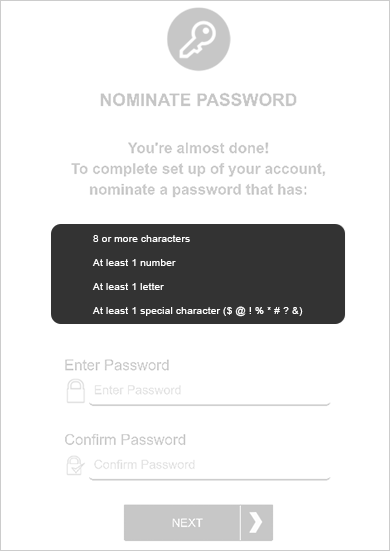 If you select a category e.g. Investment Linked. 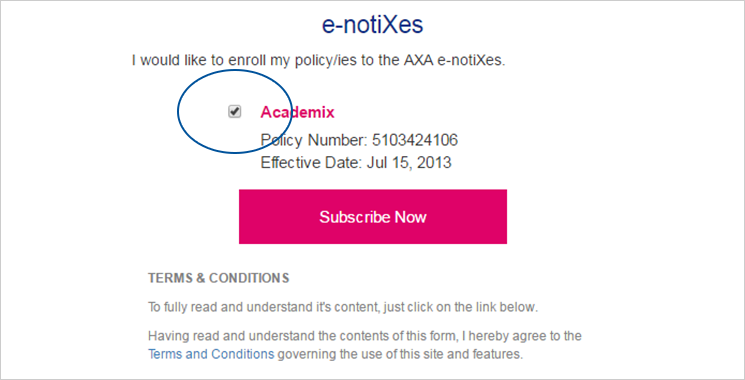 A page will display the list of your policy/ies available. 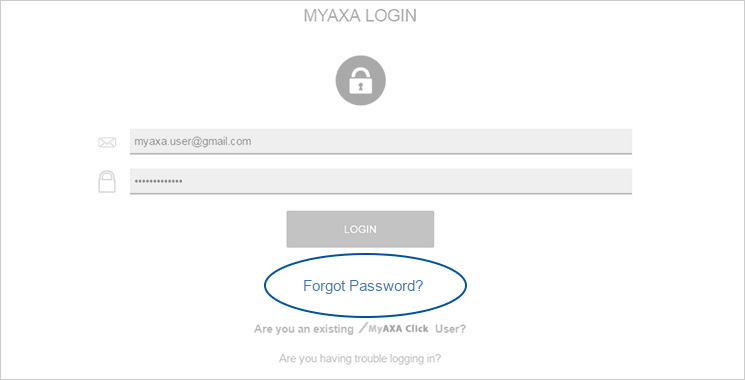 To reset your password, simply click on the FORGOT PASSWORD link on MYAXA LOGIN Page. Please click on the email link once. After clicking the link, do not reload the page. Email verification link will expire in 15 minutes.